To answer the following questions and explore the ADA in more depth, I chose to create a Prezi, an infographic, and a flow chart. What is the Americans with Disabilities Act and who does it protect? Why are the terms “Title II” and “Section 504” important to this discussion? Next, I made an infographic to answer this question: what is IDEA and who does it protect? How does it differ from the ADA? 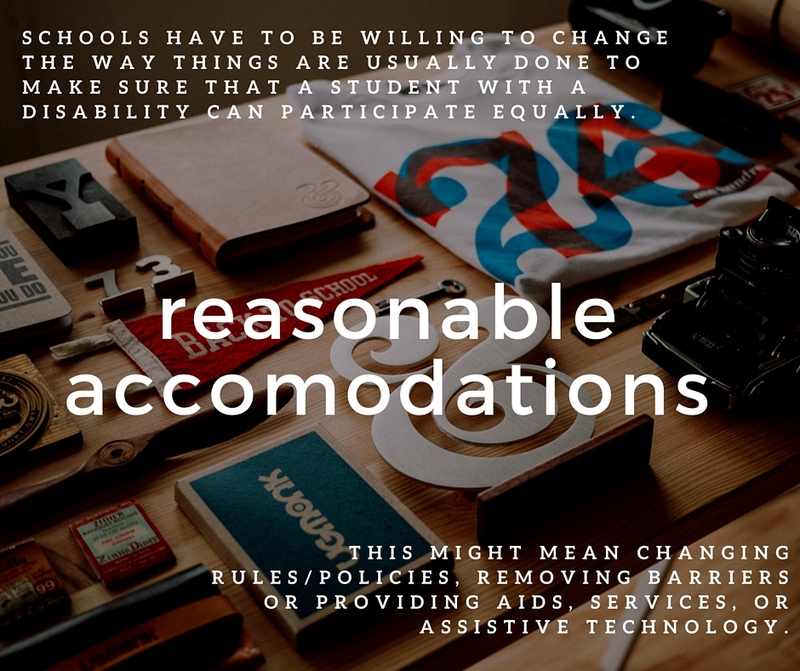 What is a “reasonable accommodation” and what else are those called in the educational setting? What might make an accommodation unreasonable? The flowchart approach (and the reasonable vs unreasonable) infographic-like section worked particularly well. Like copyright, the devil is often in the details, but your examples are sound. It might be interesting to add grey section in between the reasonable and unreasonable giving examples of some of the harder to make decisions as they might occur in real life. Where do the decisions become significantly more complicated?